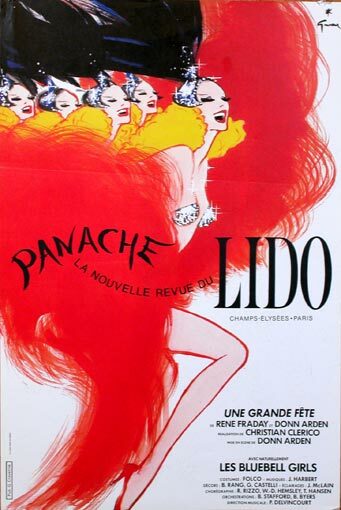 For this week’s competition prize, I’m happy to be able to offer this beautiful vintage French fashion poster thanks to PosterClassics.com, who are one of the largest sellers of Vintage Poster art on the Web since 1997. The poster, known as Bally “KICK”, measures 16 x 24 inches and is an original 1980s poster mounted on museum-quality archival linen-backing. 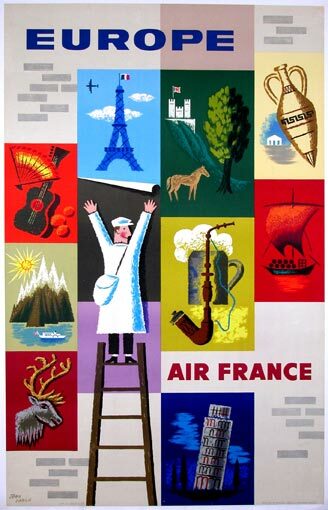 The poster was designed by Bernard Villemot, one of the most important artists of the post WW2 era in France, for Bally Chassures for use in a French ad campaign. 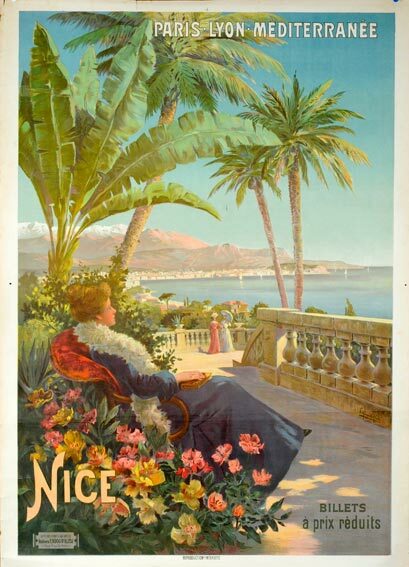 Value: approx £120 Original poster mounted archival linen-backing museum quality. 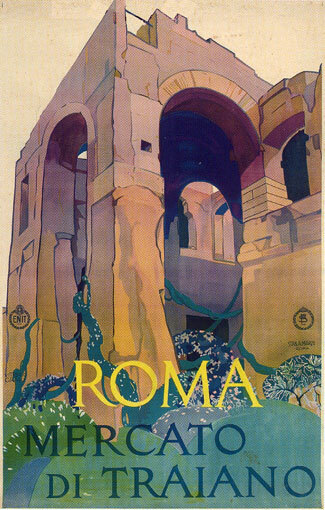 For your chance to win this beautiful vintage poster, simply tell us which is your favourite poster from PosterClassics.comand let us know in the comment box below. I’ve added some of my favourites in the gallery below, but you can find lots more on their website. We’ll pick a winner after entries close on Thursday 26th April. The winner will be announced on this blog soon afterwards so don’t forget to check back or subscribe! We will contact the winner shortly afterwards and pass their details onto PosterClassics.com who will send out the prize directly. As im off to Italy this summer ive chosen .. 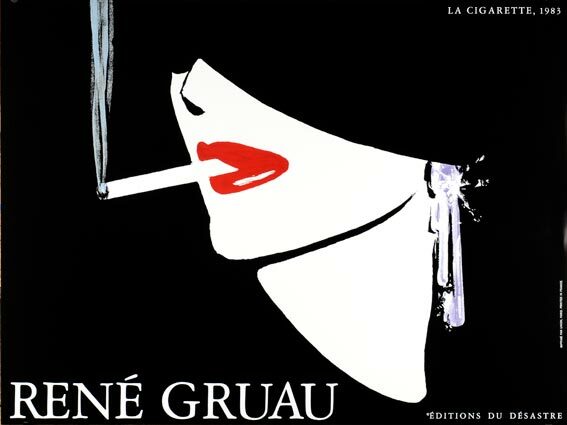 I love Gruau and everything he did for Christian Dior. 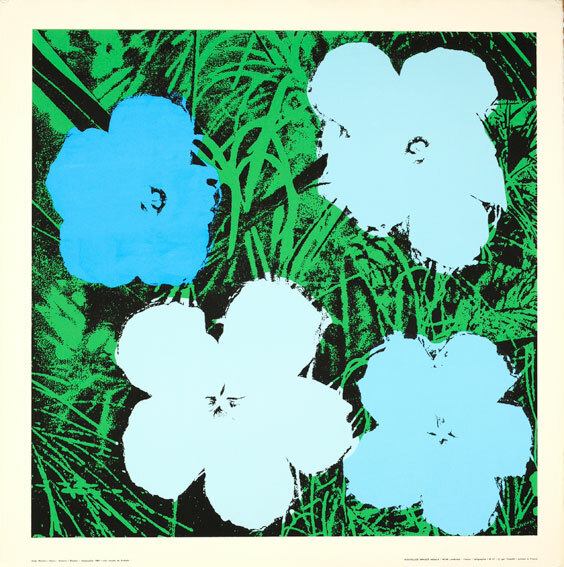 http://posterclassics.com/Images-Exposition/bigWarholFlowerBlu.jpg I love flowers and thought the colours and shapes on this poster are outstanding! i love the simplicity of it, which is unusual for me as I usually love bright colours. Wow, I can see where my student loan is going to go… 😉 Thanks for posting this comp, it's great! 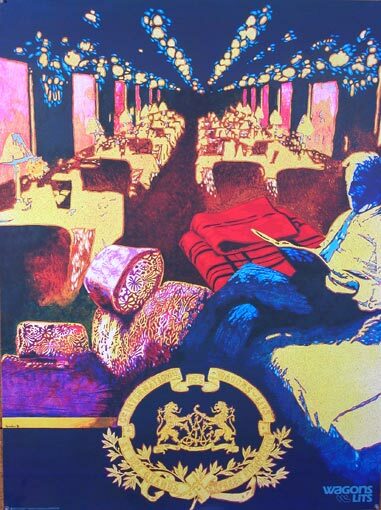 My favourite poster is Yellow Submarine: http://posterclassics.com/Images-Theatre/bigYellowSub70-100.jpg. 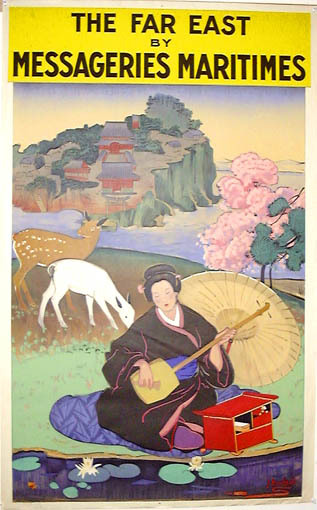 My husband and I love the beatles and the poster is colourful and would look great on our wall. really hard – there are so many lovely ones! 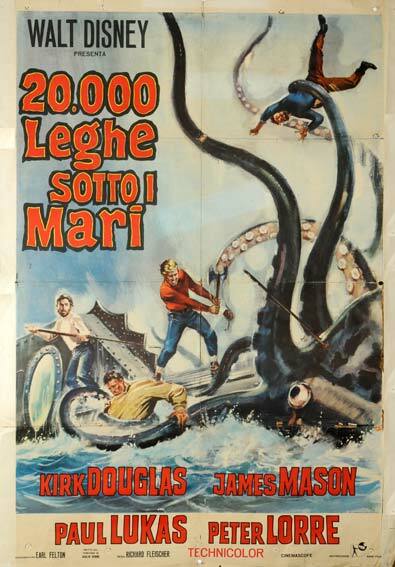 We love overseas movie posters….and this one fits perfectly with our little collection! I love the use of primary colours and b+w, the cool font and the subtle background. 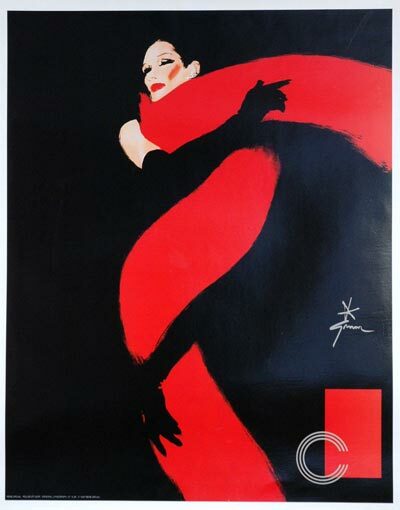 “Rouge et Noir” is my favourite so dramatic! I am so happy to learn about this site!! The vintage bally kick poste is just brill – I would love to win it! Monaco 1977 – I attended the GP in the 70s and the atmosphere was just so special plus raw excitement and action. 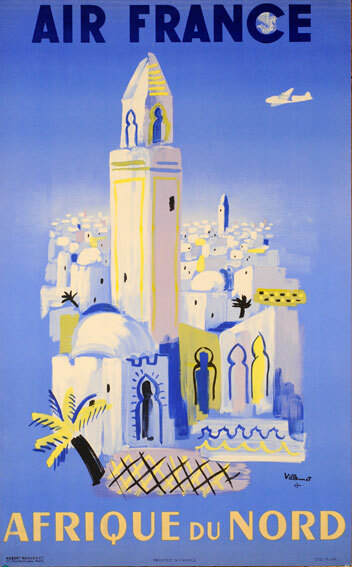 http://posterclassics.com/Images-Aviation/bigVillemotAFAfriqueNord.jpg I love the old aviation posters as they take you back to the days when air travel was incredibly glamorous – I chose the North Africa one because it is an area I would love to visit. 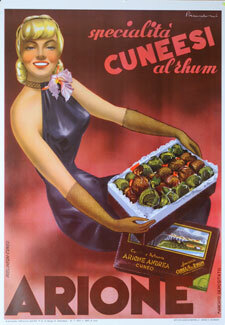 My favourites are the Campari posters, especially the Cordial Campari – love the colours! 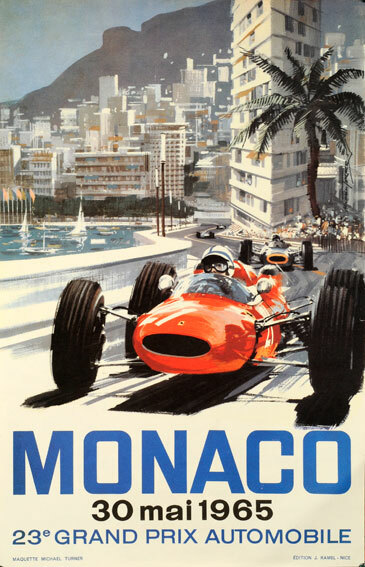 “Monaco 1968” – encapsulates the spirit, colour and drama of F1 GP Monaco in one single moment. A classic motor racing pose of dueling drivers, the speed of the brushstrokes matching the intensity of the race, it reaches out and grabs the heart of all those who love the sport…truly iconic! 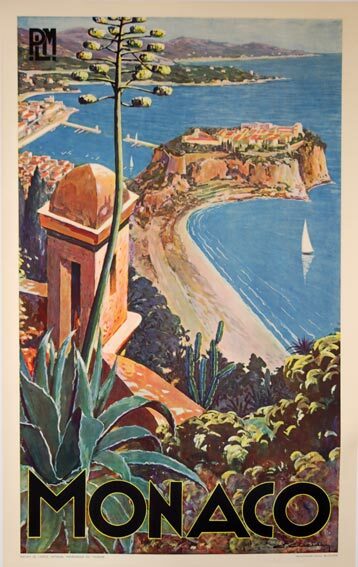 My favorte is “Golf Sur La cote D’Azur”. 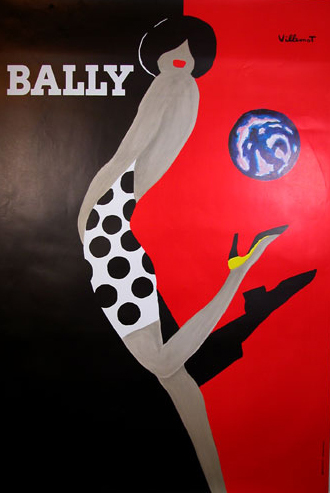 The Bally posters are simple and elegant. 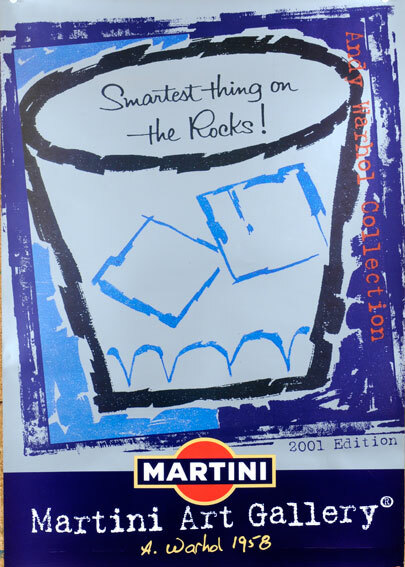 I love ‘Fonte Meo’ http://posterclassics.com/Images-Drinks-Italian/bigFonteMeo.jpg? It is so elegant and has incredible depth. You can almost sense the swirling movement of the fabric. yay! Its so hard to choose but some of my favorites are this one that youre giving away (! 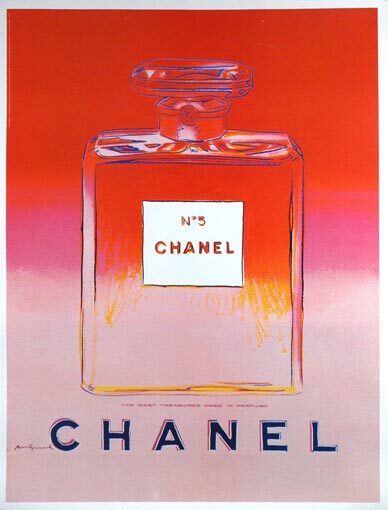 ), the chanel no. 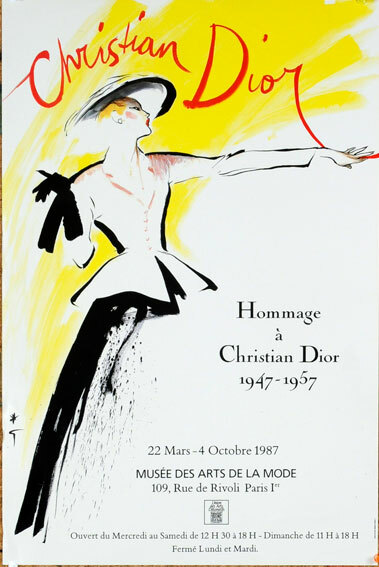 5 by warhol, and the hommage a christian dior! Thank you! 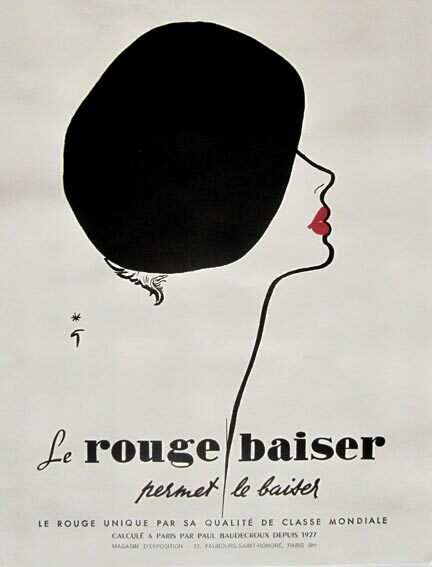 Favourite is “Perrier-la Rousse” – some lovely posters . My favourite is Hommage a Christian Dior, for its elegance. I’m pulled towards “Willi’s Wine Bar” – Hanabusa. I love the vulnerability of the woman and her beautiful female curves, something that we don’t see in it art and photography these days. Such beautiful colours and so peaceful! 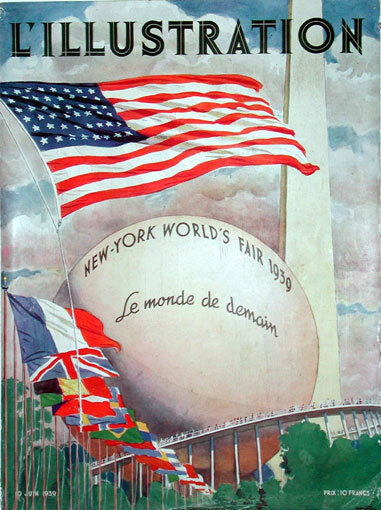 http://posterclassics.com/Images-Exposition/bigLIllustrationWorldFair.jpg I have a Worlds Fair 1939 pin, spooky. Loving the colours in this one and the pictures from all around Europe. 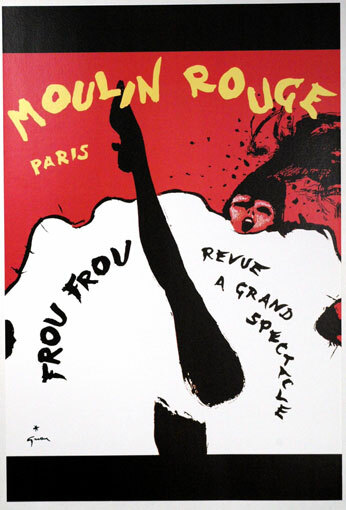 I LOVE the Rouge et Noir poster. Rouge Baiser Beret – http://posterclassics.com/Images-Gruau-Savignac-Villemot/bigRougeBaiserHat.jpg – for me. Might be different choice if looking at them on walls around town, but on the web I find the simplicity of Beret very eye catching. 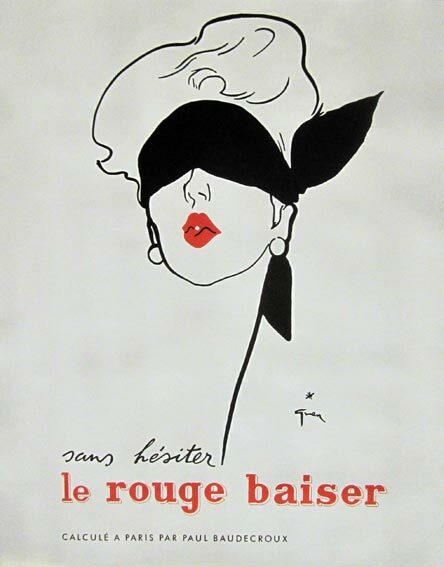 The black beret draws me in as I wonder whether it really is black or is where someone has cut out part of the poster, and then the red lips looks like they could really be a lipstick kiss someone has planted on it. And then there is the message, that the woman could be any woman, and it is the lipstick that gets her noticed. Very imaginative. Bitter Campari – lovely colours and vibrancy. I just adore this one! So classy! I love them all! 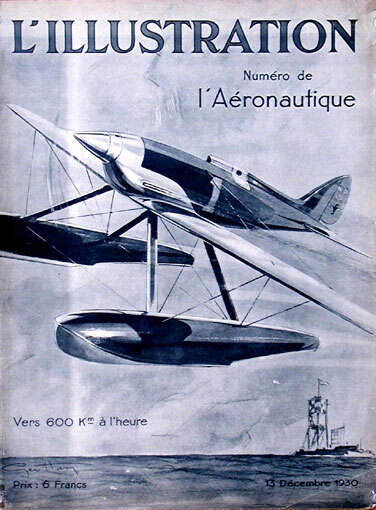 Think I rather like “Bugatti Atlantic” tho. 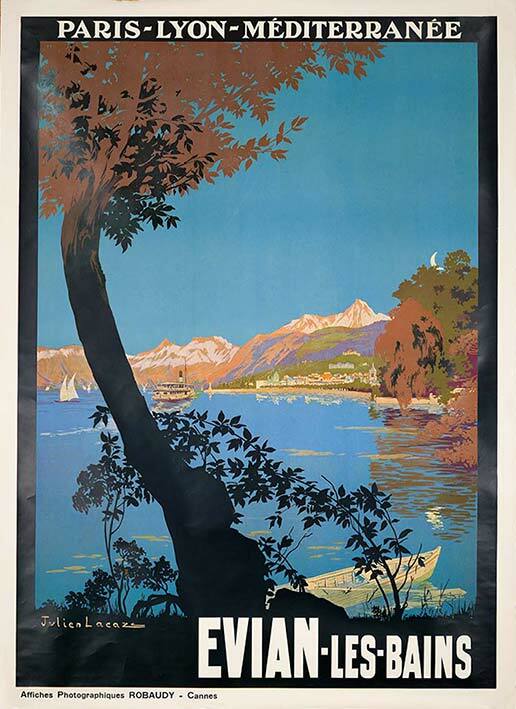 Oh my, all those colours but the simplicity of the poster worked very well. 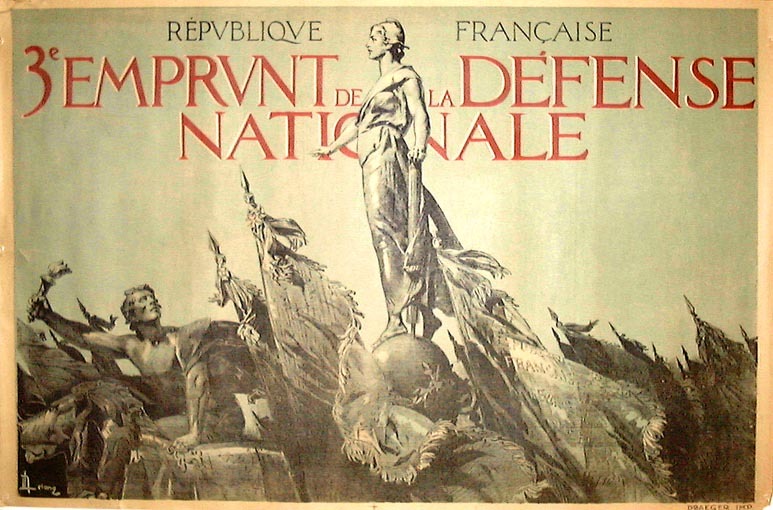 My favourite poster is “Champagne Joseph Perrier”. 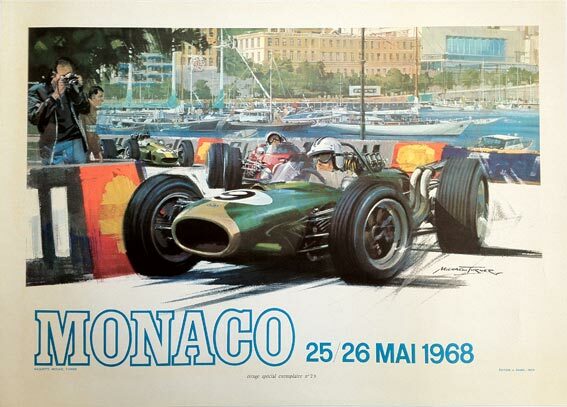 I love http://posterclassics.com/images-Auto/bigMonaco68Special.jpg. 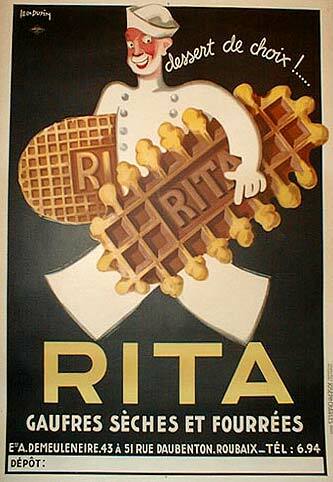 As a graphic designer I truly appreciate the classic typefaces used in this poster. 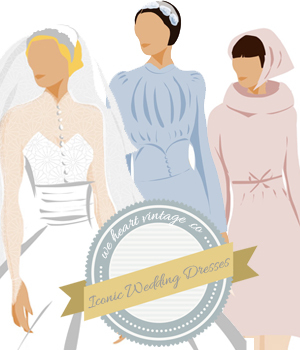 My favourite is “L’Instant Taitinger (Grace Kelly)” – classy, simple and stunning. 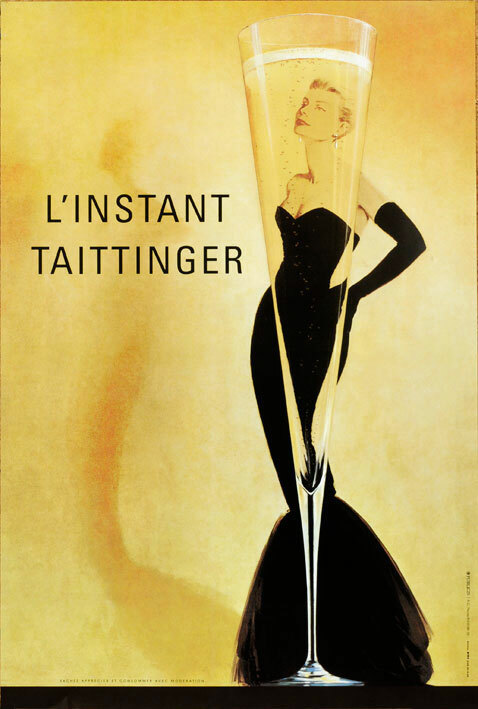 My favourite is also “L’Instant Taitinger (grace Kelly) – very elegant! 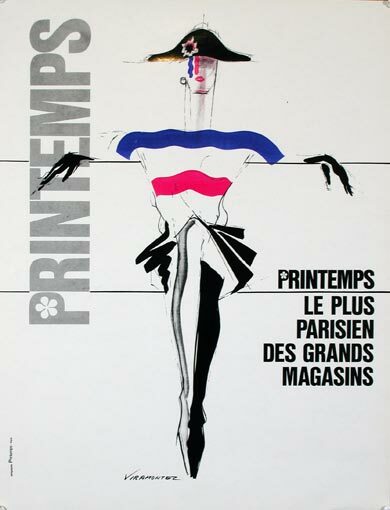 Printemps – it brings back happy memories of the year I spent studying in France! i like the “Pozzii” poster of a baby taking a bath in a beday. Soo French and takes me back to being a child and taking a bath in a sink as a child. I have the perfect wall in my bathroom for one. For me it has to be Bally Kick as soon as I looked at it I could see my wife when she was 20 years old. 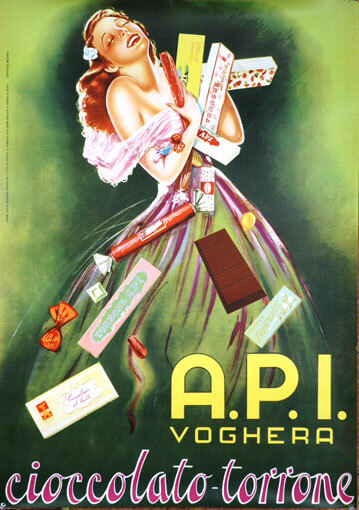 I love chocolate so this is one nice poster! So many nice ones to choose from though! 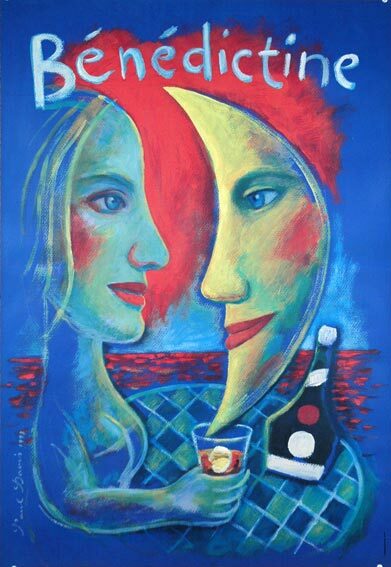 Bitter campari – I love campari and orange its my favourite drink when I’m in Italy. 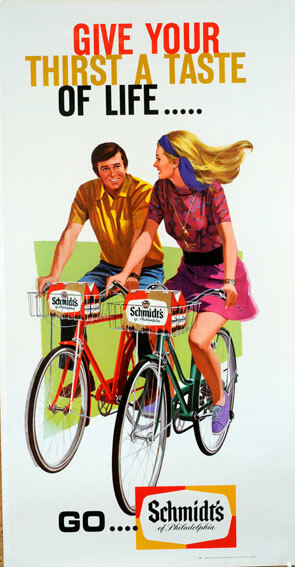 wow, that takes me back, I used to drink a campari every day when I lived in Italy many years ago! 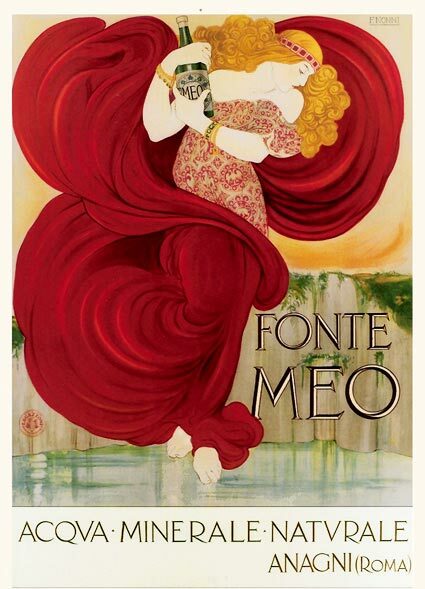 fondera bembergi is a lovely print!! 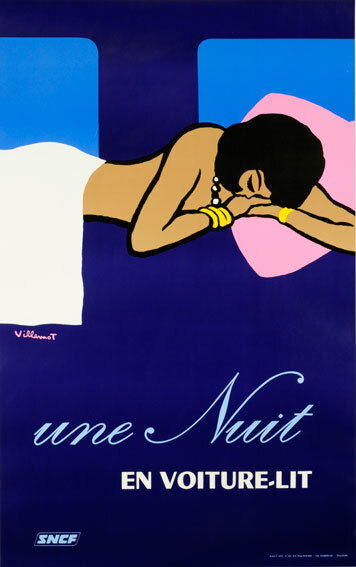 I love,love,love the http://posterclassics.com/Images-Travel-French/bigNiceAlesi.jpg poster! Id love it up in my bathroom so i could dream of holidays abroad!! 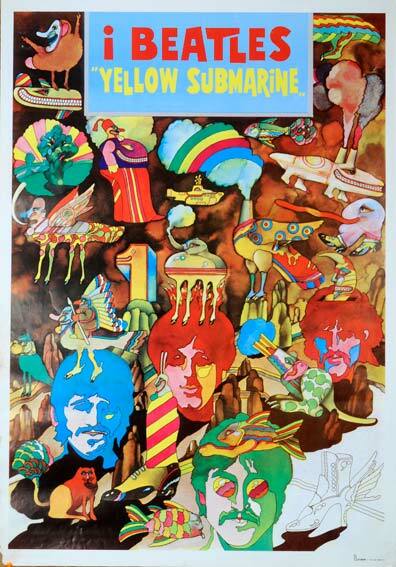 I loked the Beatles Yellow Submarine Poster-nostalgic! 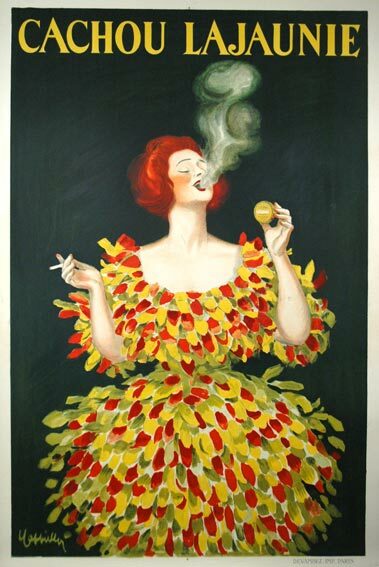 I like “Sunflowers or Reveil du Jour” because I like the cheeky expressin on the woman’s face. The colours are also beautiful and the sunflowers remind me of my Grannie ( she has painting of them) who I haven’t seen in a while! 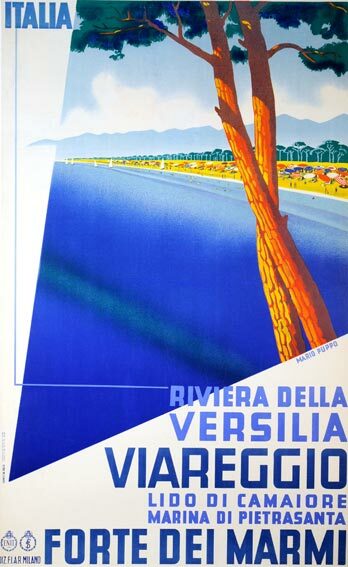 I really like the Rimini poster. 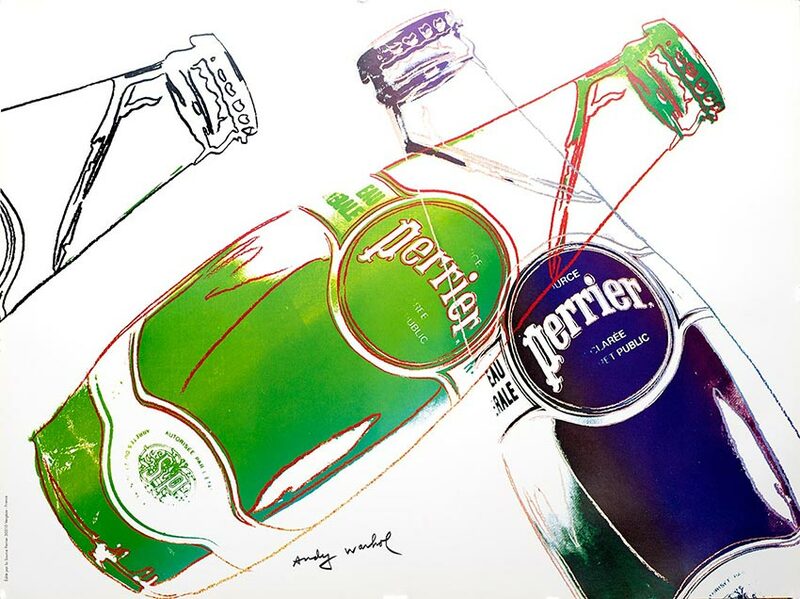 I love many of posters (e.g Warhol) but I chose this one: Perrier Cocktail Mondain – Villemot. Thanks for a chance! The way the painted shadows on his body give the appearance we are smaller/ underneath him. It gives him the power. He looks scary! But I’m into that! My favourite is PEINTURES LYONNAISES – it inspires me to take up painting – a childhood hobby – again! 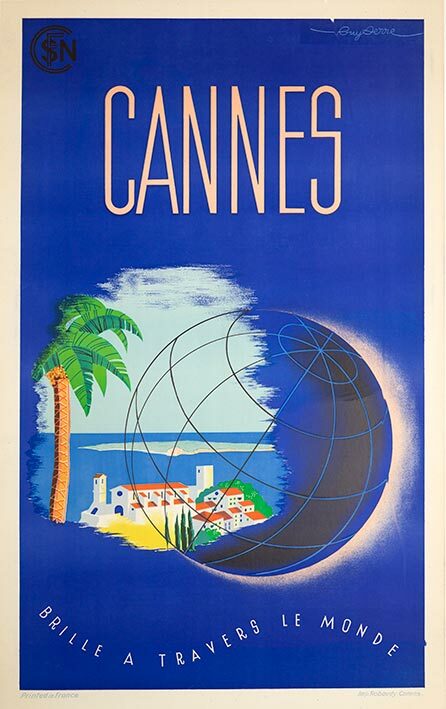 Monaco 1975 – really want that on my wall! My favourite is Champagne Perrier–it is delightful! Perfect for my wall. Very evocotive. 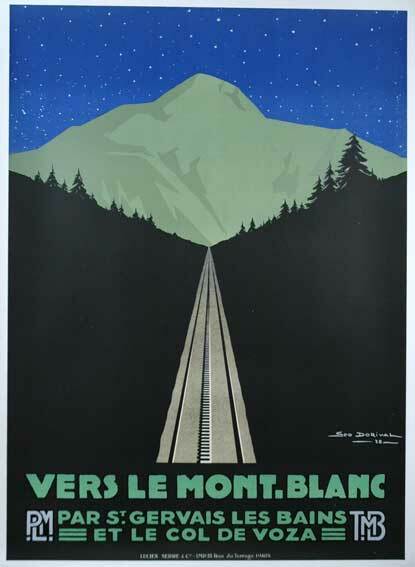 I adore this poster http://posterclassics.com/Images-Gruau-Savignac-Villemot/bigGruauRougeetNoir.jpg it is incredible! 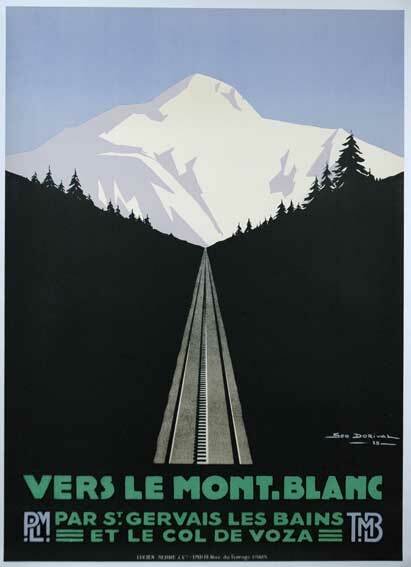 I love the Megeve poster. 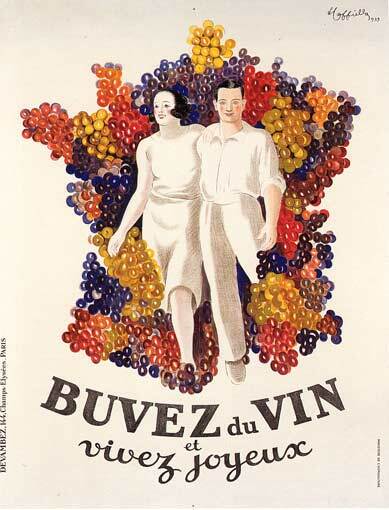 It REIGNS where it pours, a real bestCELLAR, and in a GLASS of its own!